Our aim is to ensure your stay in Edinburgh is memorable for all the right reasons. We are on hand to offer the benefits of our local expertise. To make sure we have in place all that you need on arrival just give us a call before you set out. All our rooms are comfortably furnished, light and airy, with central heating, tea and coffee making facilities, colour TV, radio alarm and hairdryer. 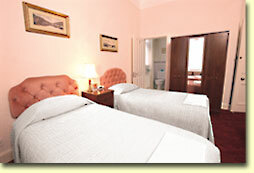 We also have en-suite rooms and ironing facilities. Enjoy a wholesome grilled Scottish breakfast in our attractive dining room. Children are very welcome and so are your pets, if you notify us in advance. 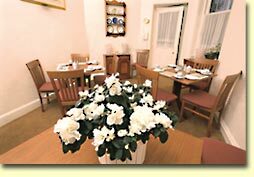 More than anything you are assured of a very warm welcome on arrival and help and guidance throughout your stay. All rates are per person per night and include breakfast and taxes. Twin room with private bathroom. Family/Twin room with en-suite bathroom.